Vensel Julian Rapi Margraff has done it. 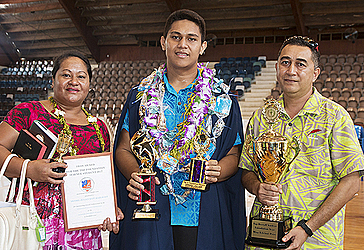 The former Head Boy of Robert Louis Stevenson School was announced the Dux of the National University of Samoa Foundation Year out of the 500 graduates at yesterday’s prize giving. “With hard work, dedication and the Lord by my side anything is possible,” Vensel said. The celebration of his achievement was witnessed by his proud parents and family members. Entering the grounds of the Le Papaigalagala, Vensel had one goal in mind, and that was to score a scholarship to make his parents proud, but life was a mystery at the beginning of it all. “In the beginning of the year, the only goal that I had was to be able to get a scholarship and to make my parents proud to dignify all the hard word that they have done for me. The life of a university student is far different from a student who is still in college, there is a major shift which can make students lose focus of their goals. “Especially the senior years of high school and this time of the year, our education life there is a lot of temptations in terms of peer pressure. We have more responsibilities in life such as doing chores and looking for that balance. The 17-year-old from Ululoloa and Siusega believes he was able to overcome those challenges with the right mind-set. He mentioned that every time he got stuck, he would sit down and review his day. “I look at how my day went and look at my weaknesses at what I have done wrong on that day and my strengths and I look forward to tomorrow and how I can improve that. “Whenever I am not satisfied with the productivity of that particular day, I will review my work,” he added. In the beginning of the year, it was a totally different story for Vensel when the results of the first semester came out. “I was not first, I was ranked second and I told myself if I put in extra work I will be able to make it. 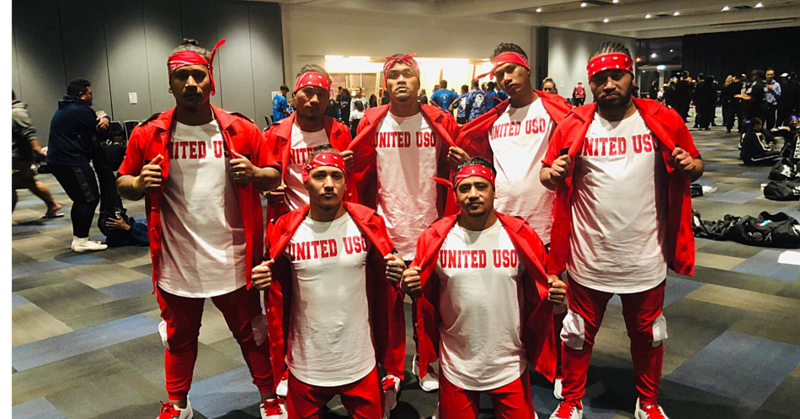 After that, dedication everyday gave me assurance,” he told Samoa Observer. Behind every successful chronicle there is always a certain person who we pay tribute to, for Vensel it was his grandmothers. “With my achievement today I would dedicate it to both my grandmothers, Sera Margraff and Sina Tavita; they have been a big inspiration in terms of not only in school, but also their silent prayers. Vensel is the eldest of Fa’amatuainu Dennis and Saliloimanatu Margraff’s two children. 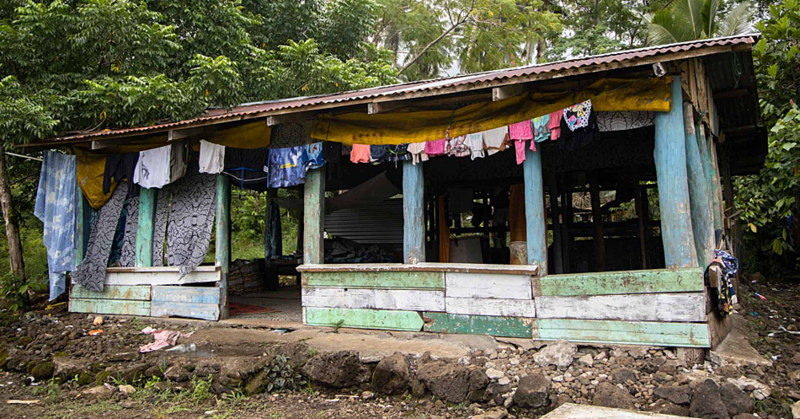 According to his father Fa’amatuainu, this is only the beginning of Vensel’s journey; he still has a long way to go. Fa’amatuainu is thankful to God because his son couldn’t have made it without Him. One lesson that he has taught his son is always to be humble and rely on God and always pray for God’s blessings on everything that he does so that he will be blessed in the future. In the new academic year, Vensel plans to study a health science programme at the Otago University, but his true passion has always been in politics. 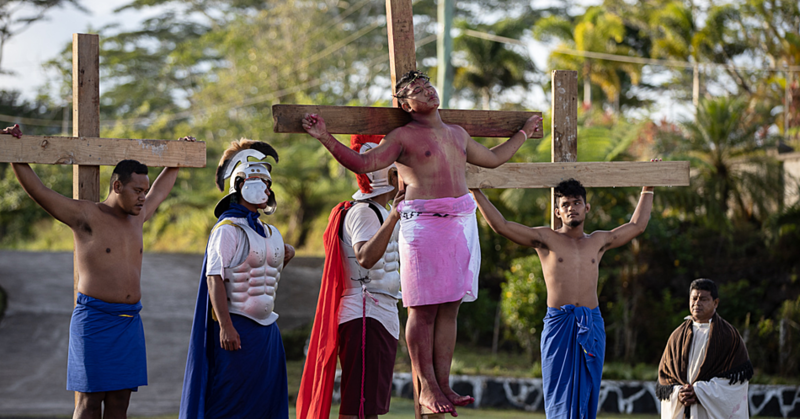 He encouraged the new batch of Foundation students in 2018 to give it their all, for them to understand that this is their last year in Samoa and they needed to make it count.